How much does Bat exclusion services cost? The cost for bat control services should not be a flat rate price it varies depending on the materials and labor the repairs call for. The bat exclusion process takes multiple stages to fully remove the entire bat colony and to prevent bats from returning to the attic space or wall cavities. Some wildlife control companies give a flat rate for bat exclusion work before even looking at the problem, How could these companies know what is needed to guarantee the removal of roosting bats without seeing the problem first hand?, we design each bat exclusion job specific to each structure being both cost effective and most importantly successful with the removal of the invading bats. Each house and commercial building is different in both design and materials so the bat exclusion system must be tailored specific for each structure. Here is a general description of our bat exclusion process with some rough estimates on the cost for these services. Call and set up an appointment for one of our skilled technicians to come perform an inspection to evaluate your home, office, or business bat problem. 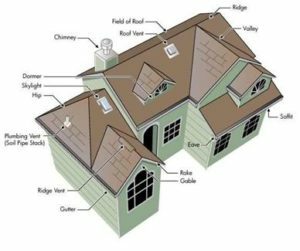 A full inspection is provided with attic access and total exterior inspection to locate all bat entry points and areas in need of repair. The core of the bat removal process is to repair the open access points where bats are entering the attic and set up a live bat control system consisting of one-way exclusion doors installed in the high bat traffic areas to filter out the bat colony from the walls and attic space. To guarantee the bat colony relocation process was successful a re-inspection is done 30 days after the initial bat exclusion to ensure satisfaction with the removal of bats from the structure and to remove exclusion door system to complete repairs and sealing of home. This last step is for more severe bat infestations when the home or business owner has extensive damage to their attic space from bat colony roost. Bat feces (guano) causes structural dangers and also health risks with the growth of mold and fungus which can be hazardous to residents with the chance of contracting Histoplasmosis. Complete attic restoration and spot cleaning are available to remove bat droppings, disinfect, enzyme and mold treat contaminated areas from bat waste. Full insulation removal, repair and installation for total attic restoration with insurance claim work is common for large colony infestations.